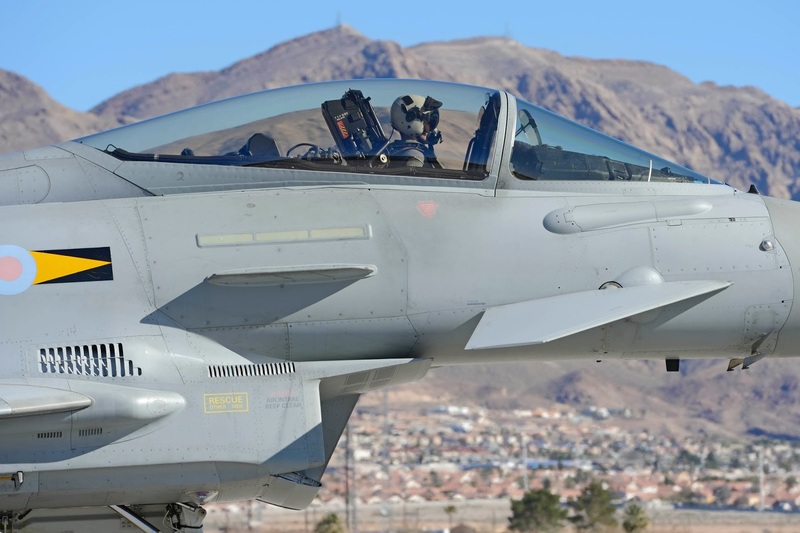 Eurofighter Typhoon aircraft from the UK’s Royal Air Force are at Nellis Air Force Base in Nevada this month to take part in one of the world’s leading air-to-air combat training exercises which begins this week. Red Flag is the United States Air Force's premier air-to-air combat training event. Participants typically include both US and allied nations' combat air forces. 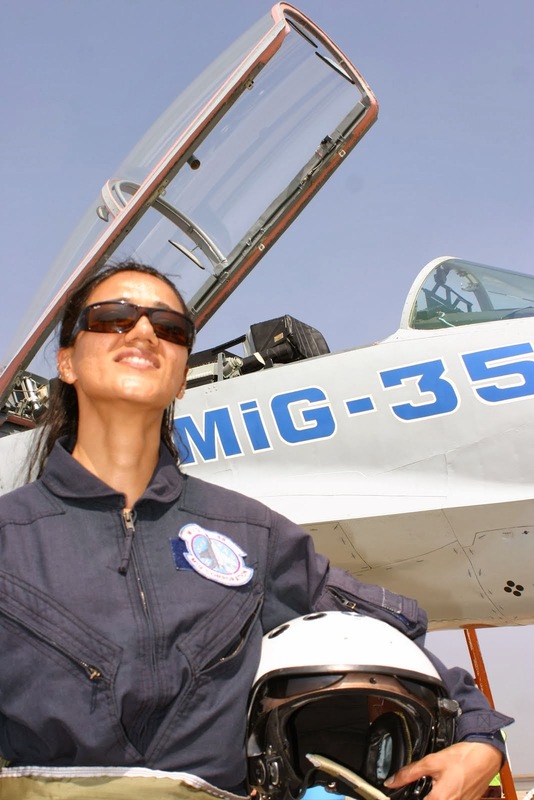 The exercise gives pilots the experience of mulitple, intensive air sorties in the safety of a training environment. This year, as well as the Eurofighter Typhoon FGR4’s from 6 Squadron based art RAF Leuchars, there will also be Tornado GR-4s and an E-3D Sentry from the UK. The Royal Australian Air Force are expected to send F-18s and an E-7. 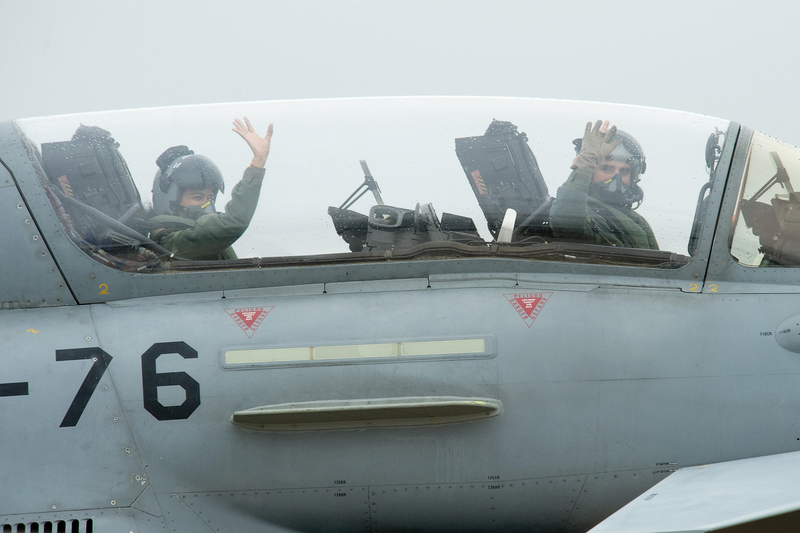 The allied nations will augment and perform alongside a contingent of US aircraft. 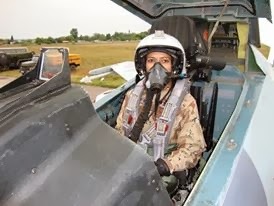 In 2013, Eurofighter Typhoon aircraft acquitted themselves with flying colours at the event attracting widespread praise for their agility, flexibility and ability to deliver what was described as ‘high kinetic’ effect. The Eurofighter’s Defensive Aids Sub Systems (DASS) and the aircraft’s Mission Data were major contributors to the jet’s success. 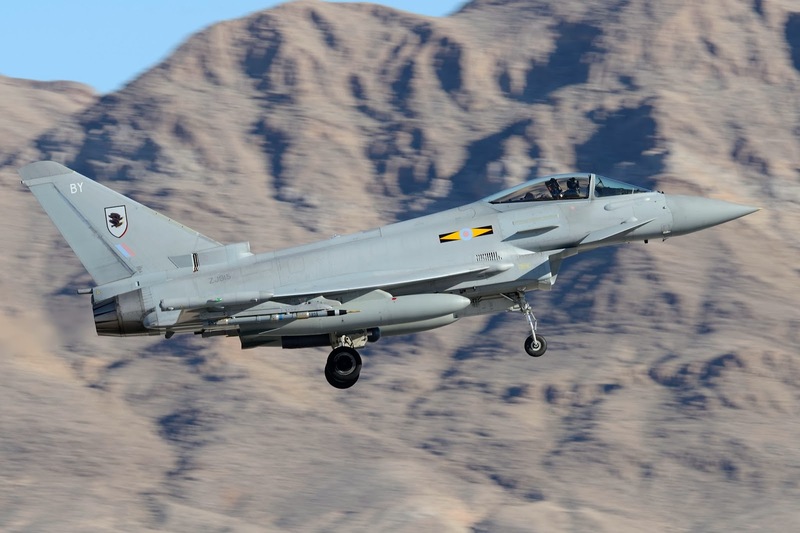 The RAF have placed significant emphasis on developing the aircraft’s mission data — populating the Eurofighter Typhoon’s DASS and radar with vital information to enable peak performance in high-threat scenarios. 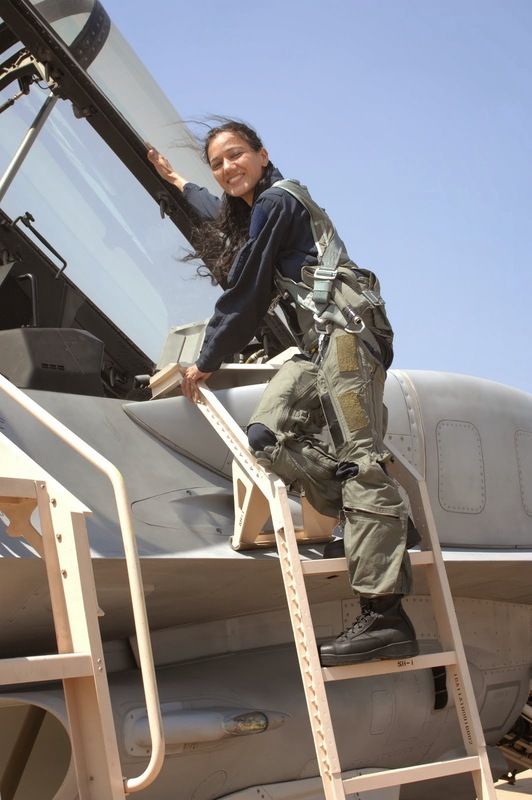 Nellis Air Force Base is one of the largest fighter bases in the world. The aircraft will operate from the Nevada Test and Training Range, which offers more than 15,000 square miles of airspace and 4,700 square miles of restricted land. More than 125 aircraft are scheduled to depart Nellis twice a day and aircraft may remain in the air for up to five hours. Flying times are scheduled to accommodate other flying missions at Nellis AFB and provide Red Flag participants with valuable training in planning and executing a wide-variety of combat missions.